with Dr. Chris Tuffnell, Director of Coach House vets. 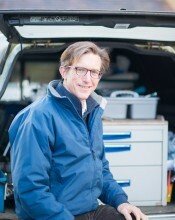 Chris, Director of Coach House Vets in Berkshire, is a keen supporter of equine innovation and technology and currently runs ViVet, “a programme to support veterinary professionals to engage with innovation and to encourage innovators to engage with the veterinary professions”. Having worked as a vet for many years and travelled to Zambia and other third world countries, he is passionate about moving health and society forwards with innovation both in the human world and animal medicine. Chris very kindly agreed to be interviewed for this month’s guest post on telemedicine and innovation in the equine industry. Here he shares his knowledge. As you are very keen on equine innovation, what is your opinion on telemedicine? I’m strongly in favour of anything that improves animal health and welfare and enhances the service that we are able to offer our clients. I currently use telemedicine, via phone call and messaging service, daily in my practice. We frequently provide opinions and advice based on photos or videos sent to us and they provide a very important enhancement of our service. Currently nothing beats a hands on examination but as wearable and implantable devices make it possible for us to receive more and more information about horses remotely, our capabilities using telemedicine will increase. Is it something you already have in place with some of your clients? Do you give some recommendations/prescriptions without having seen the horse (based on a phone call and/or pictures/videos)? Yes and yes! Currently it’s not possible to prescribe prescription only medicines without a hands on examination if the case isn’t already under management. However telemedicine really comes into its own when deciding when or how urgently a case needs to be seen (triage) and in the ongoing management of cases that have already been seen. Currently, with new cases, there is too much gap between the information that you can glean remotely and that which you gain from performing a full, hands on examination. Do you think it will develop and become more widely used like telemedicine for humans? Yes I do. As we’re able to receive more and more information remotely, the use of telemedicine will increase. If the regulation is relaxed to allow remote prescribing of prescription only medicines that will lead to a further increase. However it should be remembered that many conditions will still require a hands on examination in order for a diagnosis to be made. 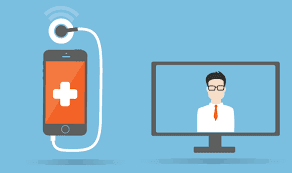 What do you see as being the pros and cons of telemedicine? The pros are undoubtedly accessibility, cost and convenience. If more people are encouraged to obtain professional advice for their animals because of this then there will be inevitable welfare benefits for horses. There are some risks of misdiagnosis because of decisions made with inadequate or poor information and vets providing services via telemedicine will need to take car to reduce this risk. There could also be an expectation from owners that vets will be able to deal with their problem remotely and frustration when they discover that they can’t. Ultimately this can be mitigated by and open and honest dialogue of what is possible and what is not. Finally we will need to develop robust remote identification systems so that the vet can be confident that the information he’s receiving is from the animal under his care and so that the owner can be confident that she is communicating with a vet! Could Trackener or similar horse monitoring technology aid telemedicine do you think, with the data added to the use of photos and/or owner descriptions? Yes. The more information that is put in front of a vet, the more likely it is that good decisions can be made. It is of course critical that the information is reliable and that, as far as possible, it is interpreted, based on sound science, before being presented to the vet. Just being told how far or much an animal has moved in a day or how much time it has spent eating, sleeping or lying down will be unhelpful unless it is presented relative to a ‘normal’ day for the horse or that is has been scientifically shown to be a pattern of behaviour that fits a particular disease. What are the best innovations you have seen in the past few years that you think have had the biggest impact on equine care (for owners and/or for vets)? Some of the objective lameness evaluation systems are undoubtedly helping with lameness diagnosis, particularly in enabling us to determine whether something we’ve done, say an anaesthetic nerve block, has made a difference to a horses way of moving. 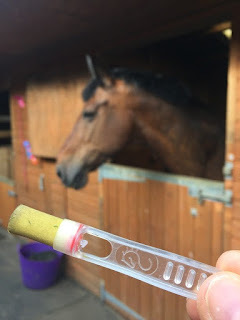 There has been an increase in horse side diagnostic tests, such as the EquiSal saliva test for tapeworm, and these have undoubtedly made a contribution to equine health. The huge innovations in equine dental equipment, both for diagnosis, routine rasping and extraction of teeth, have enormously benefitted horses and ponies by improving the detection of dental disease and its treatment. Where do you see the most potential in Trackener? I know that its potential with regards to early detection of colic is being evaluated. It clearly has great potential for measuring fitness levels in competition horses and, considering problems occur when horses are insufficiently fit for the job they are being asked to do, this could prevent many problems. Being able to detect subtle changes in behaviour, heart rate and movement could assist in the early detection of all sorts of diseases that often go unnoticed by owners because of their slow, insidious onset. For instance animals in old age developing arthritis will start to slow down and move less. Trackener could contribute a great deal of information to assessing quality of life in these cases. 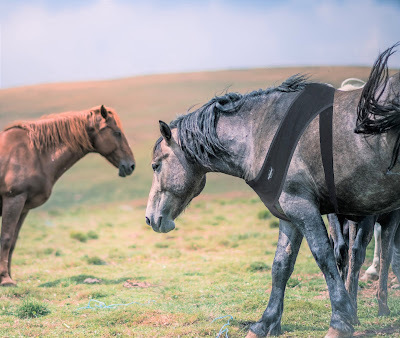 Knowing that a horse is visiting the water trough more often might indicate that it is drinking more (or persistently thirsty), often an early sign of diseases such as Cushings. Unexpected increases in heart rate could indicate stress or even the early onset of cardiac disease. As we get more and more data and see how it correlates to diseases we will continue to build increasingly sensitive diagnostic tools and this can only be a good thing for horse health and welfare. 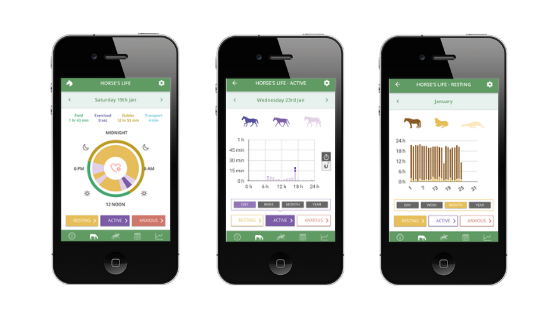 To learn more about how Trackener can help you manage your horse's health, visit our website. What do you think? Are you a supporter of telemedicine? Could we supplement veterinary care further with technology? Comment, like and share to let us know.